Walt Disney's Uncle Scrooge, No. 258, Sept. 1991 [Paperback] [Jan 01, 1991] We..
WHITMAN Comics UNCLE SCROOGE #112 168 BEAGLE BOYS #6 LOT Walt DISNEY Ships FREE! 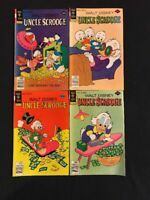 Gold Key Comics Walt Disney Uncle Scrooge 147,148,149, 150! WALT DISNEY's UNCLE SCROOGE #131 NM 9.4 GOLD KEY (1976) CARL BARKS! 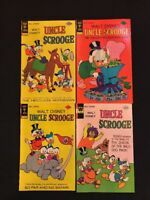 Gold Key Whitman Comics Walt Disney Uncle Scrooge 127,128,131,132! Gold Key Comics Walt Disney Uncle Scrooge 151,152,153, 155! Gold Key Comics Walt Disneys Uncle Scrooge Issue 104! 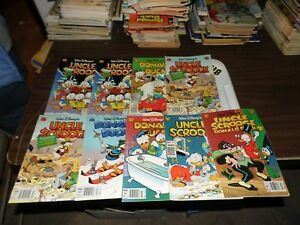 Whitman Comics Walt Disney Uncle Scrooge 137,139,140,141! Vintage Gold Key Comics Walt Disney Uncle Scrooge 114,117,118,119,120! Gold Key Comics Walt Disney Uncle Scrooge 160,163,164,165,166, 205!